Buying home insurance is a task that most of us will gladly put off for as long as possible, but it needn't be such a hassle. Our simple guide will help you to understand what type of cover you need, where to get the best home insurance deals and how to avoid the pitfalls. 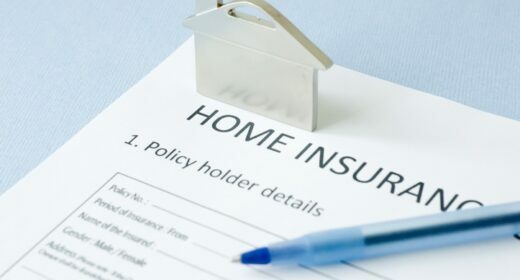 There are three main types of home insurance: buildings insurance, contents insurance and joint buildings and contents policies. While home insurance is not a legal requirement like car insurance, if you have a mortgage, your lender will normally require that your property is covered by buildings insurance. If you own the freehold for your property, you will be responsible for buying buildings insurance. If you are a leaseholder your freeholder is responsible for buildings insurance but you may have to contribute towards the cost of this through your service charge. To understand more about your rights and responsibilities read our guide Leasehold v Freehold – what’s the difference? Whether you own the freehold of your home, are a leaseholder, or tenant of a rented property, you should seriously consider buying contents insurance. It’s not a legal necessity nor a condition of your mortgage, but the financial impact of replacing all your possessions should they be damaged or stolen could be disastrous. Contents insurance covers the cost of replacing your belongings in your home if they are damaged, destroyed or stolen. Buildings insurance is designed to pay out should the structure of the building, its fixtures or fittings be damaged by fire, explosion, flood, storm, earthquake, subsidence, theft or vandalism. It will also cover the cost of alternative accommodation while you are unable to stay in your home. Both buildings and contents policies offer legal liability insurance in case you are sued by a passer-by or visitor who is seriously injured by your property and it is deemed to be your fault. It could be by falling debris, for example, or in the case of contents cover, an accident that happens inside your home. You can buy combined buildings and contents policies, but you might still have to pay a separate excess for each part of the policy. For example, if a flood meant your property needed redecorating and many of your possessions had to be replaced, you might have to pay an excess on the building work as well as the new items. What is excluded from most home insurance? You can’t claim for wear and tear or for general maintenance of your property. Acts of terrorism are not covered. Any claims you make after leaving your home unoccupied for longer than the period specified in your policy – typically 30 days. If you sub-let your home and your belongings are stolen without forced entry. If you work from home your business equipment is likely to be excluded unless you arrange separate cover or pay an additional premium. How much buildings insurance cover do I need? Homeowners often overvalue their property when it comes to buying buildings cover and undervalue their possessions when they buy contents insurance. This is because with buildings insurance you will be asked to estimate the rebuild value, which is the cost of rebuilding your home from scratch. However, some people confuse this with the market value of the property, which of course is likely to be considerably higher. If you are buying a new home and getting a survey anyway, you could ask the surveyor to provide a quote for the rebuilding costs at the same time. See our full guide to different types of survey here. If not, you can try to estimate the costs using this calculator from the Association of British Insurers and the Building Cost Information Service (part of the Royal Institution of Chartered Surveyors) but you will need to register first. Another popular alternative is to opt for a type of policy where you simply specify the number of bedrooms and the insurer estimates the cost of rebuilding. But be warned: because the method is less accurate the insurer is likely to put a high rebuild value on your home to make sure that you are covered, but this can lead to higher premiums. Make sure that you declare all the bedrooms as your whole policy could be invalid should there be any inaccuracies, leaving you with no cover if your home were destroyed in a fire or flood. For contents cover, ideally you should go from room to room making a list of everything from books and clothes to furniture and gadgets. For each note down how much it would cost to replace them new and then tally up the total. Valuable items such as laptops, cameras, jewellery and antiques may need to be highlighted and named items in the policy. Policies will normally have a single limit on the amount you can claim for any individual item so make sure that this is enough for your needs. The amount varies from one insurer to another but will typically be around £1,500-£2,000. If you have valuables that are worth more than this limit, you should speak to your broker or insurer and find out how much extra it will cost to protect them adequately. Alternatively you could take out specialist insurance for those items. If you under-value your possessions the insurer may reduce your payout accordingly should you claim. For example, you say you have £10,000 of belongings, but really they are worth £20,000. You are burgled and £4,000 worth of valuables are taken. The insurer might only pay out £2,000 if it finds out that you under-declared the total value of your posessions by 50%. The best policies will replace your items on a new-for-old basis or provide a payout of equivalent value. Some cheaper alternatives, known as indemnity policies, only pay an amount that’s equivalent to the current value of your items, which means you could be out of pocket if you have to buy replacements at their full cost brand new. Accidental damage won’t necessarily be covered as standard by your contents policy, but you can add this on. You can also add on cover for possessions like mobile phones, laptops, bikes and handbags outside the home. Where can I find the best home insurance deals? Comparison websites such as Moneysupermarket.com, Gocompare.com, Comparethemarket.com and Confused.com are a good starting point. They each cover a slightly different range of insurers so it is best to try several to ensure that you don’t miss out. Aviva and Direct Line are not listed on comparison websites so if you want to be really thorough, you should get quotes from these two major insurers as well. Don’t forget that the cheapest option isn’t always the best deal. It may be a false economy. Some cut-price policies are riddled with exclusions or have lower limits on the amount you can claim under the various different elements of your cover. Because comparison websites streamline the application process for hundreds of different insurers, they sometimes make general assumptions about you or your property in order to speed up the process. An independent insurance broker can help you find the most suitable deal with the best coverage for your needs rather than just the policy with the lowest headline price. It will also take the hassle out of having to check multiple comparison sites and, having spoken to a broker, you can feel reassured they have checked a number of insurance providers before settling on the right cover for you. By speaking to a broker you can also ensure they have the right level of cover, rather than simply relying on online forms and the assumptions they apply. Brokers are particularly useful if you have a property that has had subsidence in the past or is at risk of flooding because they will be able to put you in touch with the right specialist insurers. For new build homes lacking a postcode initially insurance brokers like APlan can also help. Always pay annually for your insurance if you can afford to do so. With pay-monthly policies the insurer is effectively loaning you the year’s premium upfront and you will therefore be paying interest on top. Some insurers charge staggering interest rates of up to 46% APR. Make a note of the date that your policy expires and never allow your insurance to auto-renew. Insurers make a fortune out of apathy by hiking your premiums year after year, so it’s vital to shop around. Most policies come with a compulsory excess which is fixed and a voluntary excess, which you can increase or decrease. Increasing your voluntary excess should help to bring down your premiums, but of course it means that you will get a smaller payout should you need to make a claim. How do I insure a flat?